This just in! 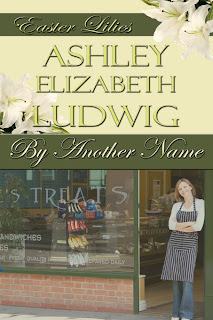 By Another Name is going to galleys! Woo Hoo! I just got word from my fabulous Senior Editor, Nicola Martinez. Most exciting to reach this point. This short story was a blessing from the get go. Easy to write, it flowed from my fingers. Those are the best. I have, in the past, said that contemporary shorts are my “cheats.” In fact, I now believe it’s my therapy. What’s more therapeutic than weaving a little redemption love story? Can these little snippets make the world a better place? I think so. Why, you ask? Because I believe in happily ever after. I tell the girls that their daddy and I are living ours, and they are our little princesses who someday will have their own. After college. After grad school. After they develop into strong, confident young women, which seems to be a recurring theme with my heroines. So, this is almost Thanksgiving day. I braved the grocery store last night, thinking I’d be all sneaky and get my holiday groceries ahead of time. Along with half of Temecula. Aye, yai! yai! Anyway, the fridge is packed. We’ve opted for a free range turkey, never frozen rather than the traditional block of ice to sit in the sink for a day. This year, recovering from surgery, and still unable to lift more than 10 lbs – a fact I forgot BEFORE I went to the grocery story – so, today, Perry’s going with me before we brave Costco together. Lord, we must be crazy. At any rate, have a happy Thanksgiving weekend. Good luck braving Black Friday, for you kamakaze shoppers out there! Many blessings, and safe travels to you and yours! Final Edits are Rolling In! When it rains, it pours. I say this as if I know. I live in sunny, southern California — and we all know it rarely, if ever, rains here. At any rate, I have that rainy day feeling. The high, thin, gray clouds are rolling in ahead of the so-called storm that’s been forecast for our area. AND, if that isn’t enough of a hint, this week saw both of my current manuscripts (MS#1 – All or Nothing, and MS#2 – By Another Name) were returned to me for my final touches. Raining. Pouring. Both due by early December. And Thanksgiving and Christmas are just around the corner! GULP. This means, hands off! only make a change if it’s ABSOLUTELY necessary. The pages are basically laid out. 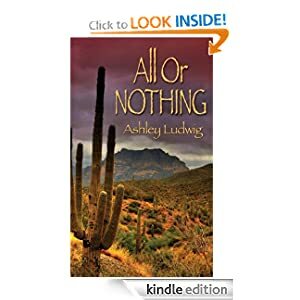 All or Nothing looks like a book. It FEELS like a book. By Another Name reads beautifully, if I do say so myself. I’m like a proud mama, seeing my babies come of age. They’re almost ready to meet society. And that’s going to leave me without a full length project. I’ve started and stopped Castles by the Sea about 89 times. I bailed out of NaNoWriMo this year. I just didn’t have the energy, even though I did have the time. Now, I need to find a new focus. A new place to throw my energy, my spirit, and my heart. I prayed for inspiration, and now I have it falling out of my ears. In a conversation with my editor. In a song. In a child’s tale. In a verse from the Bible – Romans 12:12. And, of course, in seeing the Twilight revolution, and knowing that there must be something better to offer teenage girls than that. Not that it isn’t great that kids are reading. But… AND I can’t really say, as I haven’t read the stories yet myself. But does it leave them edified? better kids for having read such a story? maybe. After all, it’s a love story, and what’s better than that? Again, there is much to be plotted and planned. But, again, I have time. Hopefully, about the time All or Nothing goes to print, my next novel will be starting its journey to publication. I’m blessed to have an opportunity to write, a publisher who believes in me, and the heart to pour out onto paper. Someone once told me that if I published a book, he’d buy me a ranch of my own. Soul ties are powerful things. We went down different paths, and if the ranch is in my future, the good Lord will keep whispering great stories in my ears. I just thank you all for reading, for believing in me, and the best — I pray — is still yet to come. One of the most helpful books I’ve ever read is Dale Carnegie’s “How to Stop Worrying and Start Living.”Sure, everyone says “How to Win Friends and Influence People” is his best work. I tend to disagree. Though I honestly couldn’t tell you the majority of what is in that book. What I do know, is that it changed my life — it taught me how to be critiqued – which is imperative for my growth as a writer. Who knows what else Mr. Carnegie expounded upon. This is what impacted me, at that low point of my life, and what I can share with others as a turning point towards a better day in mine. What’s changed in my life since I read that book? Back then, I was in a crappy relationship (read UNDERSTATEMENT, and fodder for many villains in my stories), I was trying to make extra money selling soap. I honestly was miserable, but I longed for a career as a writer of fiction. I longed for love and for friendship and a home and a family that loved me. Well, let’s see. About 14 years later, (oh Lord! feeling REALLY old) I’m happily married to my soul mate (the very saying would make him cringe), I have two lovely daughters, a great “day job” career – if they’ll still have me (going to see when I can go back to work tomorrow! ), and I am a working Author of romantic fiction. I also have befriended numerous authors, editors, cover artists, and publishers, who are all working to define this new dawn of the Print on Demand publishing industry. Perhaps I have my head in the clouds with aspirations of being a full time writer, but realistically, I know that is several years in my future. Right now, I’m in writing boot camp. I’m learning from my editors at TWRP – I’m on my THIRD! now working with the Senior Editor of the White Rose Line. (Hi, Nicola!) I’ve been brow-beat, lovingly guided, and instructed on how to improve my writing techniques on everything from: Showing – not telling, maintaining proper POV, getting rid of the dreaded words: was, felt, seemed, etc. which I’m still working on. And so many other points. They are basically bad writing habits that many of us fall into — I’m sure you notice I have a comma problem. Apologies to that regard. I tend to comma splice when I’m thinking. Crazy. What I can say is this. For aspiring writers out there: if you ask for criticism, be ready to take it in for the spirit in which it was given. Your manuscript will return to you, bleeding and ripped through with “suggestions” and “pointers” on the errors of your ways. Your editor is now your partner, with an equally vested interest in your success. Make no bones about it. It is the hardest thing you’ve ever done. I was given an excellent piece of advice by one of my writer-buddies. She told me to breathe. Then, read through the entire thing – absorbing all of the comments. Then, pick up a pen and make your notes. Develop your tricks. Use find and replace. But, pay attention to what they say and don’t assume your first pass is your best work. Give your editor’s comments the chance they deserve, and soon you won’t believe what you were capable of producing. The back and forth can be difficutl. Honestly, your baby — your precious pages — will be the bane of your existence by the time it goes to galleys. But, having it go to galleys?!?! 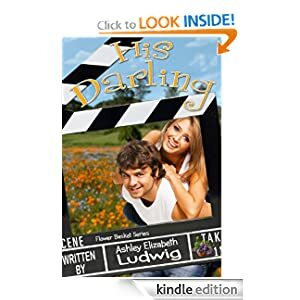 Having your story receive a gorgeous cover?!? an audience to read your words?!?! That’s my idea of heaven on earth. So, you want to go wine tasting in Temecula, California – but there are so many wineries – what’s a wine lover to do? Tell me – are you interested in a few tastes at really great wineries? or are you interested in eating a great meal as well? Either way, your palette won’t be disappointed. Due to our unique climate, Temecula is most amenable to the Italian reds. A climate that is warm in the day, cool at night, with the ocean breezes and misty mornings, which I have been told is the perfect combination for the Sangiovese, Syrah, Cabernet, and Barbera grape varietals. What does this mean to you? It means that one does not need to drive eight hours up the coast to Napa or Sonoma to taste fine wine or to fill your cellars with pricey “brand names.” A tour of Temecula Wineries is just the thing to get you in the spirits for this holiday season. The best day to go wine tasting is Monday through Thursday. Come on a weekend, if you must; but wine tasting on a weekday will all but guarantee that you will actually get more out of your tasting experience than arm-wrestling with a limo full of tipsy bachelorettes jockeying for elbowroom at the tasting bars. For the most relaxing, yet sensory experience – I highly recommend starting with an early lunch at Ponte – one of my favorite outdoor lunchtime spots. GREAT food, excellent wine pairings. Then, you can either taste at the lovely tasting room there, or move on to some of the others. South Coast Winery is truly a destination in and of itself. It boasts a fantastic, sweeping landscape – villas where one can enjoy all of the pampering of a 5 star spa – and a heated pool to bask in the sun while sipping Chardonnay. Their dining experience is a must for a night on the town, save for the cheesy player-less piano music – and you can book ahead for private or patio dining. This is a fabulous way to end up your trip if you don’t want to drive home. For day tasting, however, the tasting room is a bit cavernous; though their wine is is spectacular, don’t get me wrong. I am a huge fan of the Cabernet, the Ruby Cuvee (a sparkling Syrah). Plus, I have many friends who work there, which makes the whole experience quite pleasant. Wilson Creek, at the far end, just redid their tasting room – I haven’t been there, but their dessert wines are delicious. Almond Champagne, and their dessert wines, such as port is a must try. The grounds are flower filled and the tasting room has just been updated. Stewart Cellars offers a fantastic Cabernet, among other things, and has the feel of one of the “old” Temecula wineries. The staff is quite knowledgeable and you might learn a thing or two while sipping. On your way out, I’d definitely give Hart a try – it’s very small, but OLD Temecula, one of the first wineries, and the owners are usually mulling about. GREAT Barbera – and other rich, Italian reds. Talk about old Temecula! Remember, always have a designated driver, or look up a ride from one of the many places to stay in town. The Grapeline offers stops at wineries throughout – or you can plan a private tour through DesTem.com. For more information, a private tour, or a tasting-buddy, don’t hesitate to leave me a comment! All I can say is, wow. This is an amazing day. Perry and I stayed up late in the night watching CNN, MSNBC, and seeing how it all came together. We have a new president. Change is coming. Change is needed. Did you know other countries were beginning to see us as being a hypocritical democracy? After being under the Bush and Clinton leadership for 24 years? When you look at it that way, it’s startling. We can agree to disagree on our politics. We can agree to disagree about the direction that the next president might take the country. But one thing we must agree on – is this time in our lives will be remembered forever. Once again, I am floored by the beauty, artistry, and amazement of seeing my name on the cover of this story. By Another Name, an Easter Lilies contest winner, came from the heart. It’s a sweet, romantic story of redemption. What happens when a reformed high school bully falls for the girl he tormented seven years earlier? When Kade Sinclair crashes into the girl of his dreams, she quickly wrecks his heart. Not one to take no for an answer, he pulls out all the stops to win her over. What he learns changes his life forever. Rosalee Timmons is coming home. 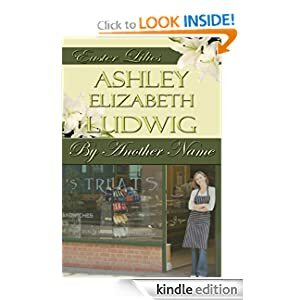 A single mother, new business owner, and the object of the most popular guy in town’s attention, starting over will be the biggest hurdle of her life. She may be hiding behind a new name, but that doesn’t heal the old scars on her wounded heart. When Kade realizes that confident, aloof Lee is actually little Rosalee Timmons all grownup, it seems he hasn’t a snowball’s chance. But when opportunity knocks, he finds a way back into her life. Will Lee accept an apology seven years in the making, or will Kade give up before she finally gives in?